Vilanos real estate agency has been operating for over forty years and they work really hard to provide exceptional service for their clients. When you have an experienced team of estate agents such as them on your side, it will make the process of selling or finding a new property much more timely. You will not ever feel as if you are wasting your time as these professionals are going to show you the most pertinent properties according to your needs and sensibilities. In Cyprus, there is a wide range of different residential properties that you can look at. You will be able to find from luxurious villas and beautiful country houses up to spacious apartments and cosy students studios if that is what you are in the market for. Vilanos real estates also have plenty of other types of properties to show off as well. No matter what your price range or needs are, you will be able to find what you need and will work well for your purposes. It is even possible to look at plots of land with no structures built on them. This is excellent for those that want to commission homes to be built. There are a great number of properties available so you will have a lot to consider. The experienced estate agents at this business will be able to help you narrow your search and will work hand in hand with you to find the right option. You will be able to find many amazing commercial properties to peruse as well. If you are in the market for a new location for your business, then you will be delighted to see that there are many great opportunities. You can find store fronts, office space, storage buildings, and much more. Whatever your needs are when it comes to commercial properties, you will be able to get them met. 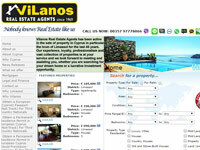 The team of Vilanos real estate agents will be able to work with you to find the right property. They will talk with you about the specific needs of your business and then they can get to work on finding properties that will fit your desires. When you have dedicated real estate professionals who are prepared to work for you, it is easy to feel confident that you will find the right property.